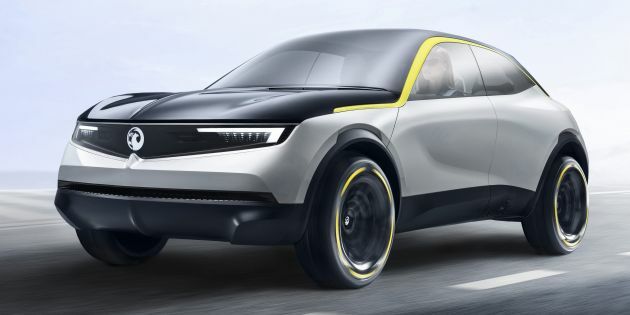 Vauxhall, together with its parent company, Opel, have introduced a new concept that showcases a new styling direction for the future. Called the GT X Experimental, the concept takes the form of a coupe-esque, compact SUV. Design-wise, the bold concept features structured, flowing surfaces with muscular wheel arches and a good display of creases. The lower section of the vehicles is painted in a luminous light grey, while upper body – including the bonnet, glass and roof – are in a dark blue. Yellow accents help accentuate certain areas like the roofline, which shares some resemblance to the Adam city car. The colour is also found on the funky-looking wheels, which measure just 17 inches in a departure from the norm of concept cars. The new front and rear fascia, according to the companies, will be evident on future models. Starting with the latter, two “axes” point towards the badge in the centre of the grille, which is called the ‘Vauxhall Visor’ or ‘Opel Vizor’ depending on who you ask. The grille itself serves as a frame for various tech features like the LED matrix headlamps as well as various cameras and sensors. Familiar, L-shaped daytime running lights are also part of this forthcoming identity. Moving to the rear, we see a mirroring of the front with L-shaped taillights and an emphasis on the crest as well. Access to the cabin is done via the vehicle’s four doors that open to a 90-degree angle, with those in the rear being rear-hinged items. Inside, you’ll find a well-lit cabin thanks to an almost uninterrupted flow of glass courtesy of the panoramic windscreen/roof and side windows. The ultra minimalistic look centres on the ‘Pure Panel’ – where a widescreen display is linked to a majority of all the car’s functions. This creates a cleaner look and eliminates the need for supporting screens or buttons. As per the conventions of creating a concept, the four seats are made to look like they’re floating and there’s a heavy emphasis on triangles throughout the vehicle. The rather spartan interior helps create a more spacious environment, which better highlights the concept’s 2,625 mm wheelbase. Other dimensions include a length of 4,063 mm, width of 1,830 mm and height of 1,528 mm. The GT X Experimental doesn’t require a traditional grille as it is a fully electric car with power being delivered by a 50 kWh lithium-ion battery – no mention of additional specifications. 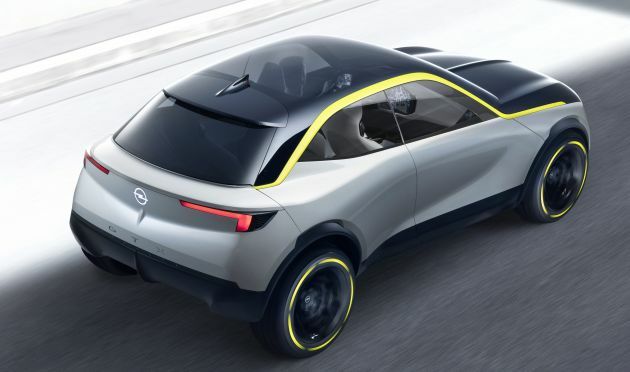 It should be noted in Opel’s version of the release that “the GT X Experimental does not pretend to offer full autonomous driving,” but does come with Level 3 autonomous driving functions.